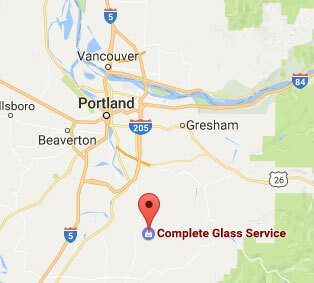 Our company has been serving the Pacific Northwest since 1996, including Multnomah, Washington, Clackamas, and Clark Counties. 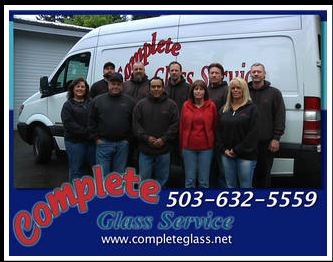 Call for a free estimate to arrange a free mobile replacement of your glass needs. We guarantee our work, and we guarantee your satisfaction. If for any reason you are not satisfied with the work we’ve done for you, we’ll work with you to make it right. This simple guarantee is why so many customers keep coming back! These satisfied clients who don’t hesitate to refer us to others. Serving the Portland metro for over 20 years, we have helped thousands of car owners, homeowners, and business owners with an unwavering commitment to service and value. Complete Glass Service Technicians are skilled craftsmen who use only the highest grade material and take pride in doing each and every job right the first time. When you call our office, you won’t get a robot! We only have real, live people answering the phone. And when we aren’t in, simply leave a voice mail and we promise to call you back promptly. Need Auto Glass Repair or Replacement? Submit A Form Below! © 2019 Complete Glass Service. All Rights Reserved.